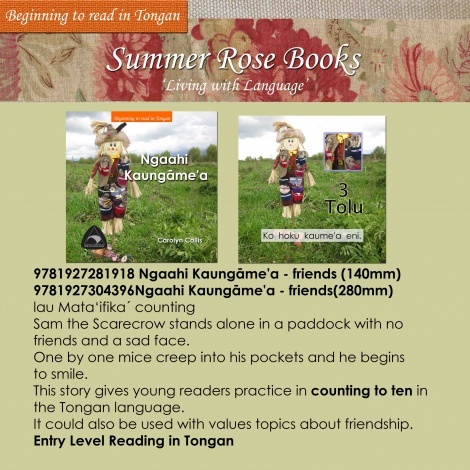 Sam the Scarecrow stands alone in a paddock with no friends and a sad face. One by one mice creep into his pockets and he begins to smile. 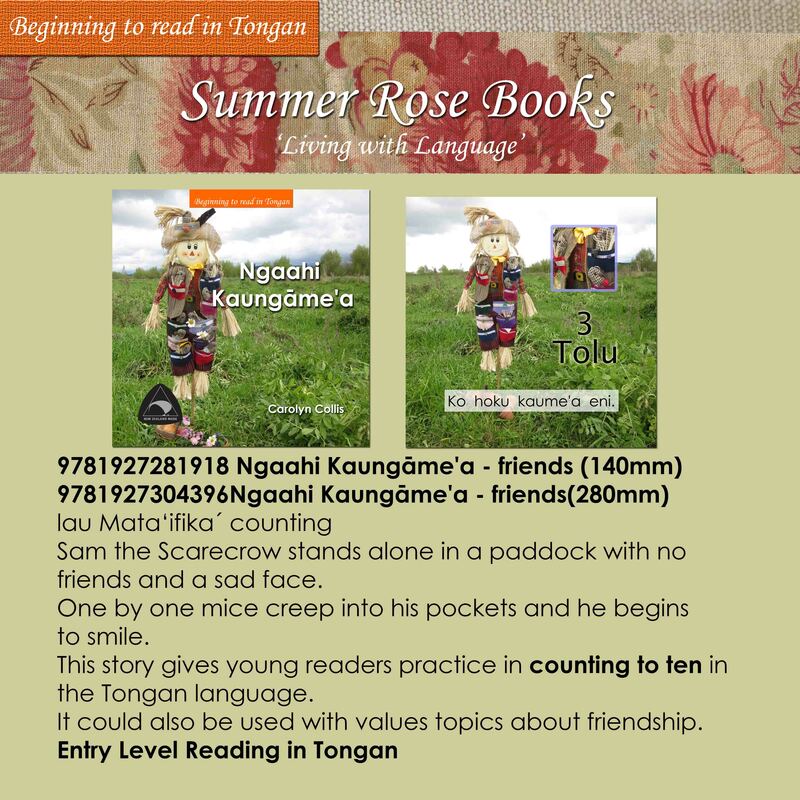 This story gives young readers practice in counting to ten in the Tongan language. It could also be used with values topics about friendship.